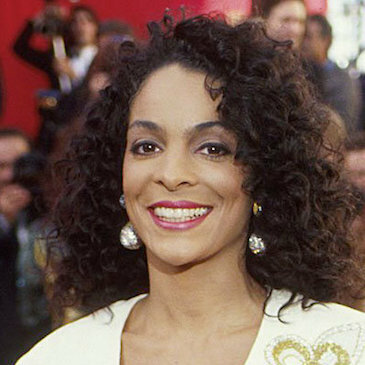 Jasmine Guy is an American actress, director, singer, and dancer. She was born on March 10, 1962, in Boston, Massachusetts, to biracial parents. Her father, William Guy, is an African-American pastor, and her mother, Jaye Rudolph, is Portuguese American who was a school teacher. Guy was raised in Atlanta, Georgia, where her father was pastor of Friendship Baptist Church. She attended Northside Performing Arts High School (later renamed North Atlanta High School). At age seventeen, Guy moved to New York City to study dance at the Alvin Ailey American Dance Center after winning a scholarship to attention the school. In 1982 Guy appeared on NBC’S television series Fame, a revival of the musical of the same name. She played the role of a dancer in the show during its first season. In 1987 Guy had a starring role as Whitney Gilbert on A Different World which was a spin-off from The Cosby Show created by Bill Cosby. Guy appeared on every episode for the six seasons that the show aired on NBC from 1987–1993. She was nominated and won six NAACP Image Awards for Outstanding Lead Actress in a Comedy Series for her role in the show. Guy also made numerous guest appearances on television shows including The Fresh Prince of Bel Air, NYPD Blue, Living Single, and Drop Dead Diva. She had a role in Alex Haley’s Queen: The Story of an American Family which starred Haley Berry. Guy had a starring role in Dead Like Me in which she played the character, Roxy Harvey, a meter maid turned police officer and one of the core group of grim reapers around which the series was based. Guy has also appeared in numerous films. Her first film appearance was in Spike Lee’s School Daze (1988) in which she played Dina, a member of the light-skinned, straight-haired African American women of Gamma Ray Sorority. The following year, Guy appeared as Dominique La Rue in Harlem Nights (1989) alongside Eddie Murphy, Richard Pryor, and Redd Foxx. In 1997 she provided the voice of Sawyer Cat in the Warner Bros animated film, Cats Don’t Dance. Guy’s other film credits include Dead Like Me: Life After Death (2009), Stomp the Yard 2: Homecoming (2010), October Baby (2011), Scary Movie 5 (2013), and Big Stone Gap (2014). Guy also had a Broadway stage career which started in 1987 when she had a starring role in the off-Broadway hit musical Beehive. She performed in several Broadway productions, including Crow in The Wiz, Mickey in Leader of the Pack, Betty Rizzo in Grease, and Velma Kelly in Chicago. Guy also directed Broadway plays like the musical I Dream (2010) and George C Wolfe’s The Colored Museum for True Colors in 2011. She continues to act in many shows, including her latest, Disney Channel’s K.C Undercover having a recurring role in the show in 2016. Guy and Terrence Duckett married in August 1998. The couple had one child, Imani, born in 1999. They divorced in 2008. “Jasmine Guy,” Jasmine Guy, http://jasmineguy.com/; “Jasmine Guy,” Internet Movie Database, http://www.imdb.com/name/nm0004982/; “Jasmine Guy,” Film Reference, http://www.filmreference.com/film/76/Jasmine-Guy.html.